Finally there is breakthrough in modern science that will bring in science fiction stories even closer to reality. This is the technology of 3d printing that can make exact replica of real life things or objects with no deviation at all. It is almost like that science fiction where you enter into a machine and the machine makes a duplicate person exactly like you no seconds. However, the actual 3d printers can only make duplicates of the things or objects, not living things so far. Still this is one great technology to know about. Three dimensional or 3d printing is also referred as additive manufacturing as it makes a three dimensional replica of any object in a manufacturing mode. However, it uses a little bit complicated and advanced technology in the process. This 3d printing starts with a 3d scan of an object that needs to be printed or remodeled. The 3d scanning has to be really accurate to microns to ensure actual resemblance between the copy and the original. Once the scanning is done and the model is reconstructed in the 3d application e.g. 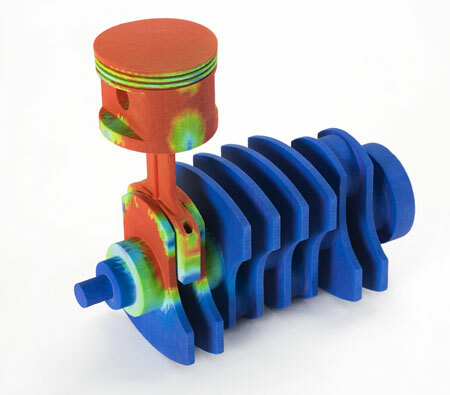 CAD in the computer, an additive process is used which makes layers after layers with specific powder, chemicals, glue and other materials to make the copy model. These layers are then joined together to make the final duplicate. Usually the process takes hours to even a few days depending on the scale and complexities of the original object. There are different kinds of technology to make 3d printing or additive manufacturing among which Direct metal laser sintering, Selective laser sintering, Fused deposition modeling are the prominent ones which uses different materials such as thermoplastics powder, ceramic powder, eutectic, Paper, foil, Plastic film, Titanium alloys and so on. Such technology has been really helpful for both industrial and research & development purposes. However, three dimensional or 3d printing are mostly used in rapid prototyping which is more accurate, faster. This is why; it has been used by designers, architects, researchers everywhere in the world. Even if you want to make a 3d print of any of your favourite object, you can also go for them since there are numerous online 3d printing services around. However, keep in mind that printing 3d versions is quite expensive than the normal 2d printing on a page. What do you think about this new technology? Would you see yourself printing in 3D?